Ronal R50 Aero Ball Polished Silver 18 inch alloy wheels (set of 4 wheels). This wheel is only available in 18×8″ size. The Ronal R50 Aero Ball Polished Silver is a Flat Face, polished rim, multi spoke design alloy wheel. The Ronal R50 Aero Ball Polished Silver is available in both 5 stud 5×100 and 5×120 PCD fitment. 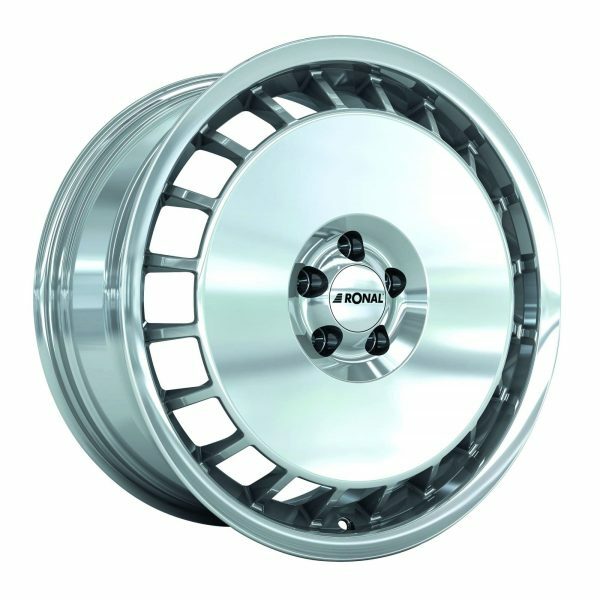 The wheel is available in 5 stud 5×100 and 5×120 fitment only. The Offset for this alloy wheel is ET35 on 5×100 fitment, and ET50 on 5×120 PCD. The Ronal R50 Aero Ball Polish alloy wheel has a Load Rate of 800kg (per wheel). This rim has TUV approval, for more info in detail regarding TUV and ABE reports visit the Ronal technical guide page .